Zambia is a country where criminal elements usurp power using money, opposition Movement for Multiparty Democracy faction president Dr Nevers Mumba has said. 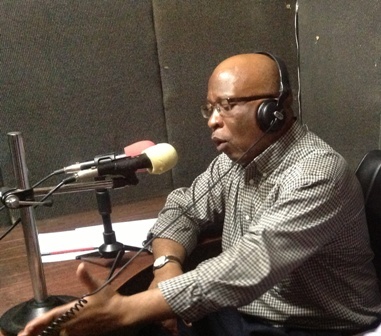 Speaking on Hot FM radio’s Hot Seat programme this morning, Mumba, reiterated that there was only one MMD for which he was president. However, former works and supply minister Felix Mutati is also a faction president of the former ruling party. He was until two weeks ago when he was fired a cabinet minister in the Patriotic Front government. “But there is always criminality in the country! Unfortunately, we live in a country where those with money and criminal minds can actually assert themselves to say they are in charge of an organisation. This has happened to me before in 2014 when I was pushed out from being the leader of the MMD. I did the same thing; I went into the background and depended on the infrastructure of our system – in this case the courts of law,” Mumba said. “I’m confident that the rule of law is going to be respected. I mean, if we didn’t pursue this case, I would fear for Zambia! We are at a place now where everything has settled and the law is now emerging and people have to measure their activities against what the law says,” he said.